Xia Lin (pseudonym) never thought that one day he would lose his job as a reporter at one of China's biggest commercial websites, especially at a time when it seems anyone can be a reporter. Along with Xia, a number of Chinese media workers are now jobless after a crackdown on commercial websites' news branches, which are banned under new Internet management regulations. On July 24, the Beijing Cyberspace of Administration shut down the programs of several commercial news portals run by major Internet giants for publishing original articles related to social and political issues including "Geek News," a news program run by Sina and "People in News," run by Sohu. Chinese experts have argued that this move aims to better regulate information instead of restraining freedom of speech, and despite the claims of some, it should not be interpreted as a crackdown on media industry. 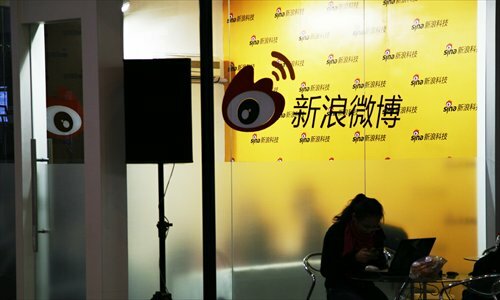 The Beijing Administration of Cyberspace said that they have closed the websites, mobile applications and WeChat accounts of all these banned news programs, citing an article in the "Provisions on the Administration of Internet News Information Services." The regulation states that re-posting or releasing news articles on social and political issues can only be done if the articles were written by news agencies run by central, provincial or municipal governments. Xia told the Global Times that working as a reporter for a website requires similar professional skills as working at a State-run news agency. However, in recent years, commercial websites have to pay more and more money to repost news articles from "qualified" news agencies, which may explain why they decided to establish their own reporting teams, said Xia. On Monday night, China's top Internet regulator the China Administration of Cyberspace (CAC) also released a statement, saying that special investigations into eight commercial websites and their mobile applications including Sina, Sohu, Tencent and Baidu found that these websites have "problems" in their management and personnel training. Specifically, the statement said that workers at the websites have "pursued economic interests blindly" and were "lacking supervision." As websites are playing a larger role in the news industry, the CAC and the State Administration of Press, Publication, Radio, Film and Television previously issued press cards to 594 reporters from 14 "major central news portals." However, only reporters from State- or Party-run portals were given cards and the employees of commercial news portals such as Sina and Sohu were not included, said the Xinhua News Agency. Moreover, along with the booming of original reports on commercial websites, copyright has become a headache for many reporters from traditional news agencies. Reposts which do not cite the original publication have become ubiquitous on social media. For example, The Beijing News has constantly released notices on its official website, warning that such reposts infringe their reporters' rights. In its latest notice, the news agency said that any website, mobile application or social media platform which uses or reposts its articles should get its written approval first. It also listed several websites that had reposted its articles without its approval including chinavalue.net and jiemian.com. Despite these efforts, many reporters say that it is still hard for them to defend their rights. In order to gain profits, some commercial websites have "ignored the bottom line of communication," said Zhu, adding that the "crackdown has no relationship to confining freedom of speech and it also was not aimed at controlling opinions." Earlier this month, the CAC ruled that online media outlets which base their news reports on social media posts must verify the truth of stories before publication and they are banned from fabricating stories or distorting facts. However, some experts argued that commercial websites should be granted the right to conduct original reporting, which is in accordance with social development and Internet communication trends.